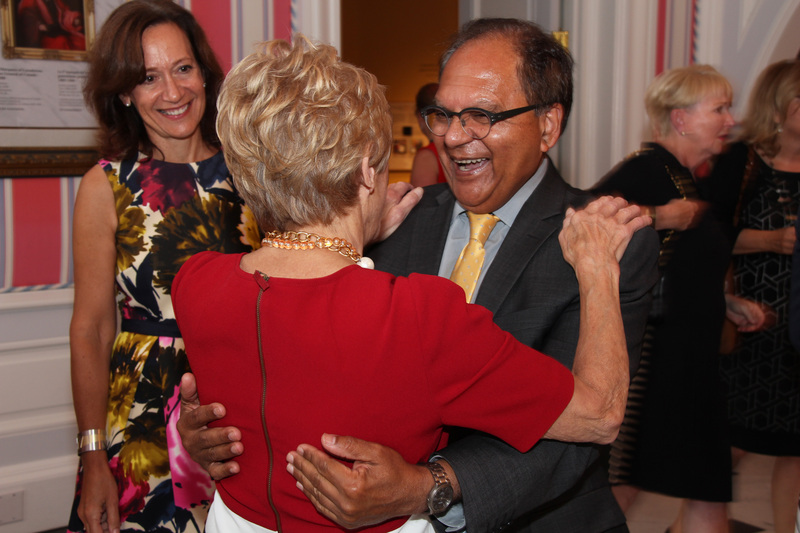 It goes without saying how much everyone is going to miss Sharon Johnston, but what was made clear at a celebration she hosted Wednesday at Rideau Hall is how mutual those feelings are. 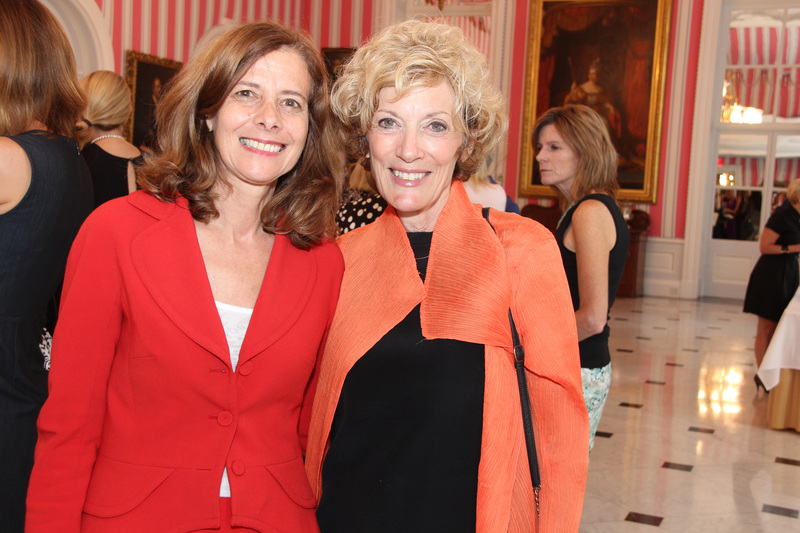 The afternoon event was a reception for members of the Royal’s Women for Mental Health (WFMH), an all-female philanthropic initiative. It started in 2011 with 21 founders. They recruited more women, who recruited more women, until the group expanded to more than 400. Cumulatively, it raised $1.6 million for the Royal. It also made great strides in increasing awareness, educating others and reducing the stigma surrounding mental illness. Her Excellency took a shine to WFMH; the reception was the third time she had invited its members over to her place since her husband, outgoing Gov. Gen. David Johnston, assumed office in 2010. His extended term ends this month. The Royal Ottawa Foundation for Mental Health, at its signature gala in March, presented Sharon Johnston with an Honourary Inspiration Award, recognizing her advocacy for those living with mental illness. “To be part of the mental health campaign over these past seven years has been immensely satisfying,” she told the room, her voice filled with heartfelt emotion and sincerity. “My association with the Royal Ottawa has been very personal. I hope it will continue beyond our mandate. You have given me a public voice to express my belief that every Canadian should get to know someone with mental health challenges. This doesn’t have to be complicated. The gathering was held in the Tent Room, with its candy-striped walls and elegant chandeliers. Well-dressed servers passed around potato and cauliflower cakes, smoked salmon and fish cakes, along with macaroons, bite-sized servings of sugar maple pie and double-chocolate mousse. Leigh Harris Fowell, president of Halo Management Consulting and former board chair of the Royal Ottawa Foundation for Mental Health, was on hand to present Johnston with the gift of a special umbrella. Its decorative design was done by a Royal Ottawa patient. 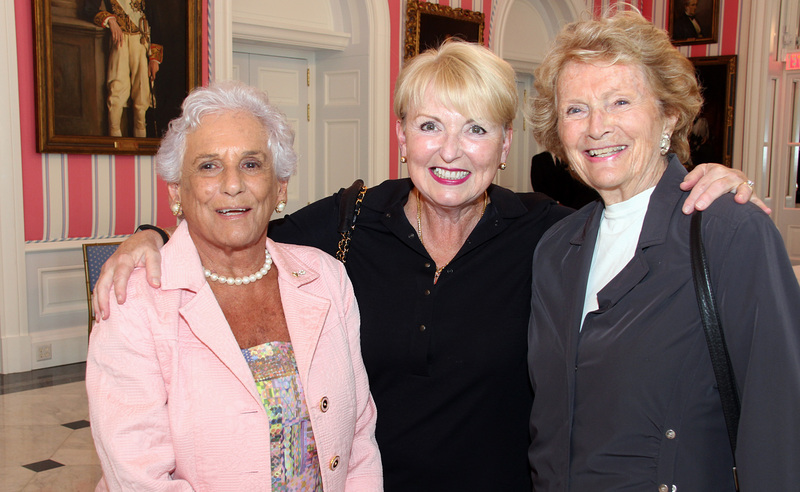 Spotted in the crowd of 100-plus women were leading philanthropists Shirley Greenberg and daughter-in-law Barbara Crook. Also seen were some of the Women for Mental Health founders, including but not limited to successful real estate agent Nancy O’Dea, prominent lawyer Janice Payne, wealth advisor Colleen O’Connell-Campbell, management consultant Lili-Ann Foster, wildlife and adventure photographer Michelle Valberg and public policy and government relations consultant Jacquie LaRocque, who was feeling the love for Johnston. “She’s done so much for mental health. It makes me teary,” LaRocque, principal at Compass Rose, told OBJ.social. Bringing male presence to the room were Dr. Zul Merali, president and CEO of the Royal’s Institute of Mental Health Research, and Mitchell Bellman, who took over six months ago as president and CEO of the Royal Ottawa Foundation for Mental Health. Bellman thanked both Johnston and the members of WFMH for their inspirational support. The money raised through the initiative, he noted, helped the Royal buy its brain imaging machine. It’s currently the only one in Canada dedicated to mental health research. The Women for Mental Health program has been “an incredible testament to the power of women’s philanthropy,” added Bellman.